In the recently released horror movie Raw, a lifelong vegetarian teenager arrives at a veterinary school and, after being forced to consume a rabbit kidney at a student initiation ritual, discovers a deep desire to eat human flesh. Most of us are fascinated with cannibalism – and there are many examples of brutal and dark dramas exploring the topic, including Silence of the Lambs and Hannibal. But in real life, cannibalism hasn’t just been practised by bloodthirsty psychopaths. Common motivations for eating human flesh include periods of starvation, warfare and ritualistic behaviour. And it hasn’t been all that uncommon – many of our ancestors were actually cannibals. But exactly why has remained a bit of a mystery. In a new paper, published in Scientific Reports, I have now started to answer the question. We know from archaeological evidence that cannibalism took place across prehistoric western Europe. A recent review – covering a period from 960,000 years ago to the Bronze Age – shows that it must have been fairly common, given the number of hominin remains that show evidence of cut marks and human gnaw marks. We have also found many broken long bones – indicating an effort to get to the marrow. 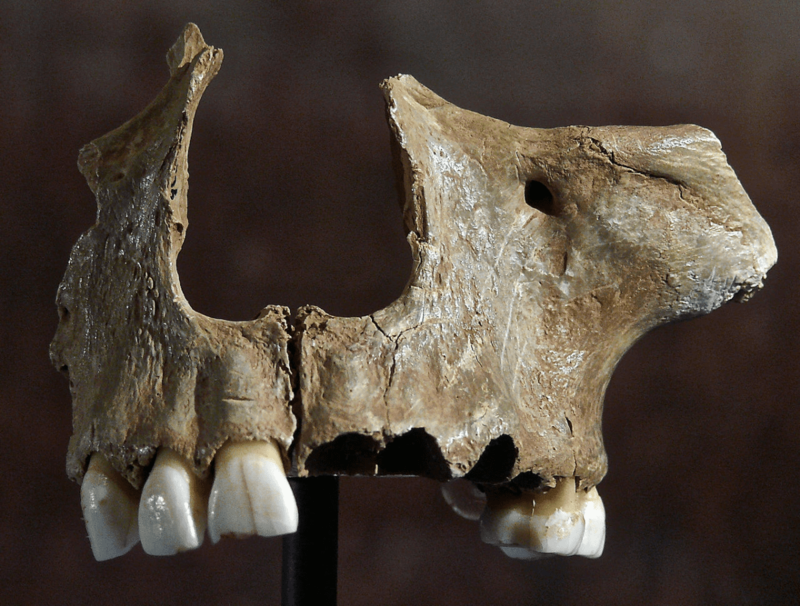 We can’t know exactly why these societies were cannibalistic. But researchers have broadly interpreted it to be “nutritional cannibalism”, forming a regular component of a species’ overall diet. This is because most of the marks found on the skeletal remains relate to processing the carcass for food, such as getting to the the marrow. If the bodies were cut up for ritual purposes, such as defleshing, we would expect to see more scraping marks along the bone as they were cleaned of their flesh. But despite assuming that corpses were eaten for nutrition, we still don’t have a clear idea of how nutritional (in the sense of calories) humans actually are. I attempted to find out by looking at cannibalism in the Pleistocene – a period from about 2.5m to 11,700 years ago, often broadly referred to as the Ice Age. This study includes human species such as ourselves (Homo sapiens), Homo Neanderthalensis, Homo erectus and Homo antecessor. I started by creating a “nutritional template” for the human body by incorporating data on its chemical composition. This data provided the protein and fat content of each body part, which I then converted into calorie values. One gram of protein is about four calories and one gram of fat is about nine. However, as these measurements come from modern humans we cannot be sure exactly how they would vary for related human species. Neanderthals, for example, had slightly greater muscle mass. Nevertheless, I then compared these proxy values to those of animal species such as mammoth, bison, horse and reindeer, which we know that our ancestors often consumed. Indeed, archaeologists have found plenty of such animal remains at the same sites where there’s evidence of cannibalism. Interestingly, the calorific value of humans is not very high when compared to such animals. Indeed, when muscle masses are compared, a single horse can return approximately the same number of calories as up to six human individuals. I argue that this suggests that the idea that early humans hunted and consumed groups of their own species only for nutritional purposes makes little sense – given that there were better options around. Indeed, we don’t have a huge number of remains from these species at hand, but within that small record there’s a relatively large sample of remains that appear to have been butchered. So it seems unlikely that cannibalism only occured infrequently during periods of starvation. So why then did prehistoric cannibalism occur? In short, there cannot have been a single reason. Each episode of prehistoric cannibalism will undoubtedly have had its own complex reason for occurring. But the poor calorific return of human flesh suggests to me that it may have been down to social or cultural reasons rather than the need to fill a gap in the diet. For example, it may be related to the social defence of resources or territory from interlopers who, having been killed, were then consumed. Also, we shouldn’t underestimate the cultural and social sophistication of these species. Recent studies looking at the broader behavioural patterns for our ancestors, including the neanderthals, have started to show that they may have been more culturally complex than previously thought. Recent palaeo-genetic studies also hint at a more explicit and active degree of social interaction and interbreeding between hominin species than was thought possible. This includes interbreeding between our own species and the Neanderthals. For those genetic exchanges to have taken place, I would argue that there must have been not only a recognised biological similarity between the species, but also a cultural parity in terms of ability for language communication and symbolism. Indeed, it has already been recognised that different Neanderthal groups may have had distinct cultural and symbolic traditions and a varied attitude to the burial of their dead. Why then would these species not also have had a variety of motivations for consuming members of their own species? Yet dietary motivations cannot be discounted as a driver for prehistoric cannibalism – it could be that these species were opportunists, eating anything they came across. But we should equally not discount the possibility that social motivations could have played an important role in determining why acts of cannibalism took place.